A common theme of the oral testimony we heard from representatives of environmental groups was that the Commission and the Oregon Department of Fish and Wildlife (ODFW) were the only bodies qualified to make such a determination, because they alone have the adequate staff, knowledge and expertise to use science as a basis for the delisting. The environmental representative later admitted in his testimony that the delisting would have “no on-the-ground implications immediately for wolves within the next three to four years.” This is in stark contrast to the often emotional testimony and rhetoric used by such groups, in which they state that the delisting will result in wolves being slaughtered all throughout the state. One of my colleagues, Rep. Lew Frederick (D-Portland) expressed disappointment with the revelation that environmental groups may just sue after all. Rep. Frederick stated, correctly, I believe, that the ranchers who operate in areas with wolves have followed the rules they agreed to, that any delisting decision would be based on science. Going back on that agreement, Rep. Frederick said, does not provide for an atmosphere of trust. He was, and is, right about that. Oregon’s current wolf plan was the product of collaboration between stakeholders, including representatives of the cattle ranching industry and environmental interests. The cattle ranchers have acted in good faith, believing that if they abided by the terms of the agreement that the process they helped establish would provide them with the certainty they need to maintain their operations. On Monday, November 9, members of the Fish and Wildlife Commission voted 4-2 to delist the wolf from the state’s Endangered Species Act. This was part of the process that was agreed to under the wolf plan. The Commission based its decision on the recommendation of ODFW staff, who testified that the wolf population reached the numerical threshold set up in the plan, was healthy, growing and not in danger of extinction. Another criteria was that existing programs and regulations are adequate to protect the wolves and their habitat. That requirement has also been met. Wolf depredation is an important issue for the constituents of my rural district. It was recently reported that a lone wolf killed and maimed cattle on a Klamath County property on three consecutive mornings in late October and early November. 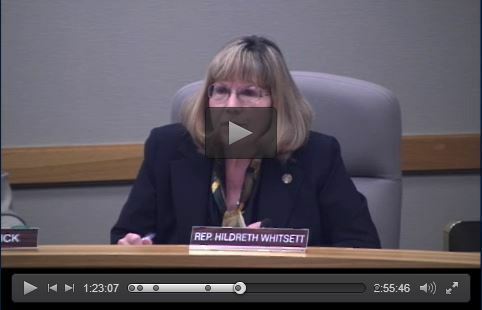 My office, and that of Sen. Doug Whitsett (R-Klamath Falls) included that information in the record during the Commission’s hearing. Contrary to the claims of environmental groups, the delisting does nothing to change the illegality of killing or hunting the wolves. Those acts are still punishable by a $6250 fine and up to a year in jail. Lethal action may only be taken against wolves in the area designated under the plan as Eastern Oregon, when the animals are found to be actively depredating livestock. The plan has succeeded in its intended and stated purpose of stabilizing the wolf population. Members of the ranching community who helped establish the plan did what they said they would and played their part in bringing about that stability. As such, the Commission’s decision is a victory for them, and for any similar good-faith efforts that are brought into the public arena.